A one year gift membership to My Cake School is the PERFECT gift for the baker, aspiring cake decorator, or creative person in your life! The $30 gift membership is good for one year, and will allow access to our HUGE online cake video tutorial library featuring hundreds of videos and thousands of techniques! In addition, members have access to our forums, and member photo gallery. 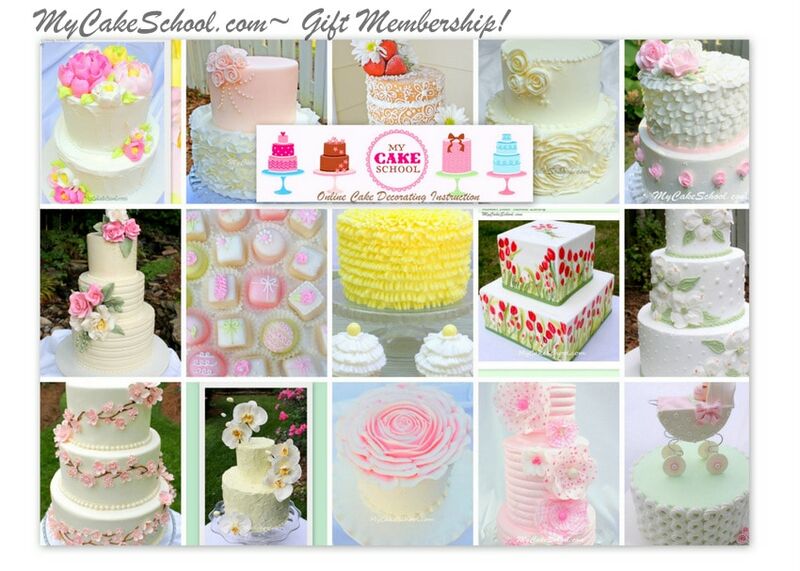 We have tutorials for all skill levels of cake decorating, and we have a community of members from all over the world! Click Here to find out more details about our site and what we have to offer. Gift memberships do not automatically renew. After purchasing the gift membership, you will receive the gift code, which you can then e-mail to the recipient at any time. We have a “Redeem Gift Code” button in the right side bar of our home page. Please find the PayPal link below if you would like to proceed with your $30 payment, or feel free to e-mail us at info@mycakeschool.com for other payment options or any additional questions! To Purchase a Gift Membership, please click the “Add To Cart” Button Below. You will have the option to pay by credit card or with a PayPal account. This is a one-time charge of $30 for a one year membership.